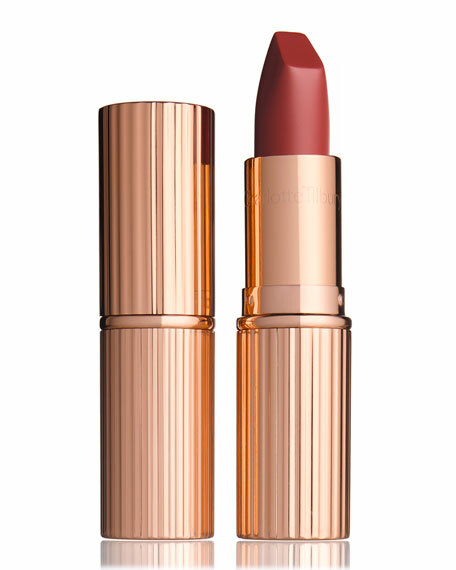 Charlotte Tilbury breaks new ground with Matte Revolutionthe matte lipstick of the future. Chic natural berry for sultry and alluring beauties from Halle Berry, Barbara Bach and Olga Kurylenko. This unique formula is enriched with new-generation 3D glowing pigments for lips that look lit-from-within and an optical 'matte-trick' to create the appearance of wider, fuller lips. Enriched with orchid extract for antioxidant, SPF protection and hydration and seed extracts from "The Lipstick Tree," a plant extract that is exclusive to Charlotte Tilbury, Matte Revolution does not dry the lips and stays put, unlike most other matte lipsticks. The feel of a nourishing balm, with a high-performance finish. From a stain to a full block of pigment, Matte Revolution is power-packed with vibrant colour. Softens with Lipstick Tree & Orchid extract to protect and hydrate lips for younger-looking, healthy lips. Fuller + Wider lips are created with 3D glowing pigments for the illusion of lit-from-within, "full beam" lips. Long Lasting colour thanks to a perfect blend of oils and waxes. Buildable colour - a stain or a full block, the choice is yours. The smooth formula makes it simple to create. an even application and easy to manage the colour. 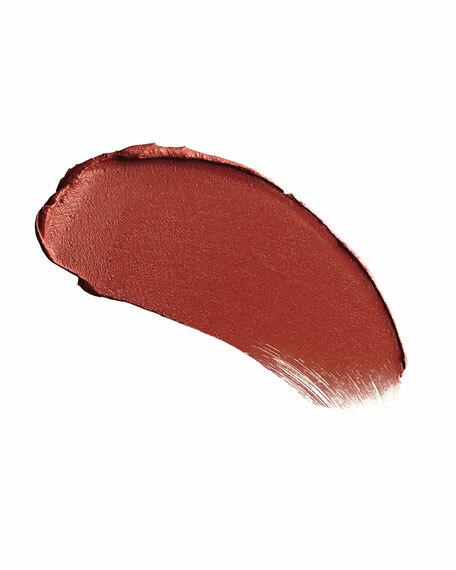 Perfect application from the unique square angled tip, which mimics the shape of a lip brush. For in-store inquiries, use sku #1600369.